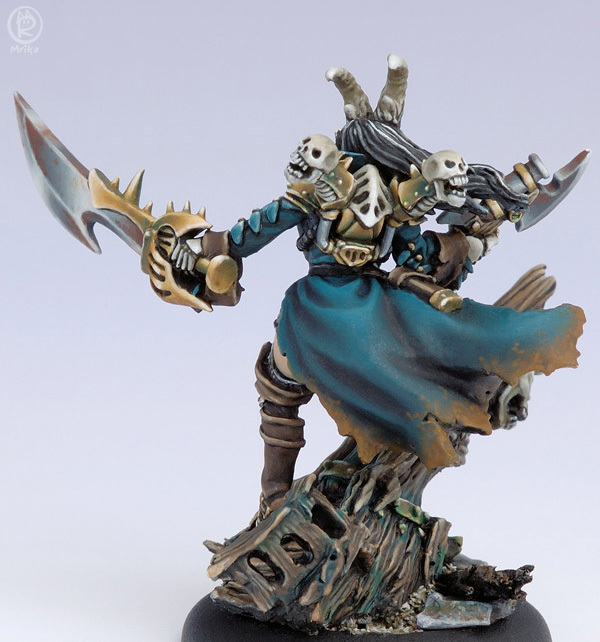 Skarre won this year’s Privateer Press painting contest. Some late nights went into her and she had her own theme music. 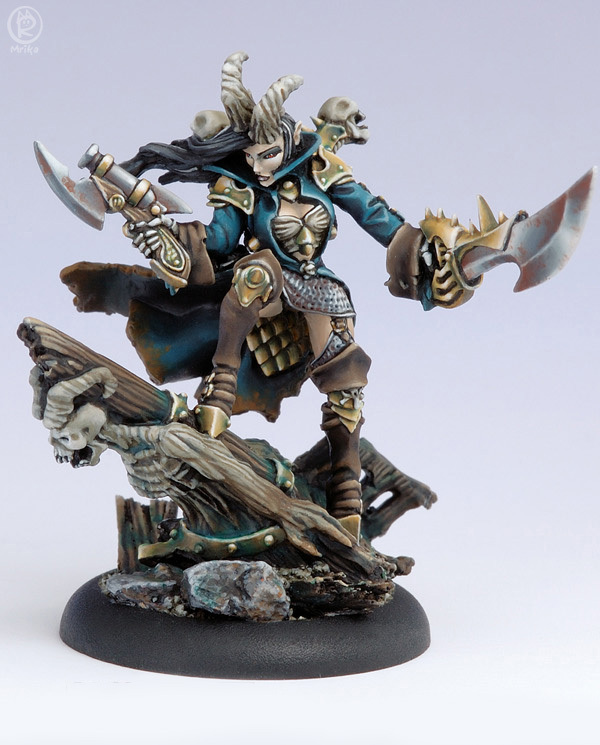 I didn’t like the pewter representations of broken wood on her base. They were cut out and replaced with splintered balsa which I think looks much more woodlike. Many thanks to Ron Kruzie for the photography.